Getting a good night's sleep isn't always as easy as it sounds, and the foods you eat can certainly impact how restful your night is. 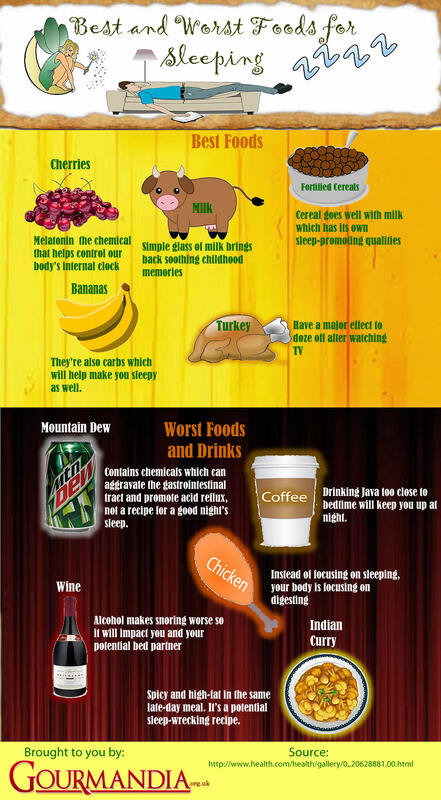 The infographic below from Gourmandia outlines the best and worst foods for getting a good night's sleep. Foods like cherries, milk and fortified cereals can help you rest a little easier at night. Even bananas and turkey have properties that promote sleepiness. Foods to avoid include soda, coffee, wine, chicken and spicy meals. These foods either contain large amounts of sugar and caffeine, promote snoring, or force your body to concentrate on digestion rather than on resting. 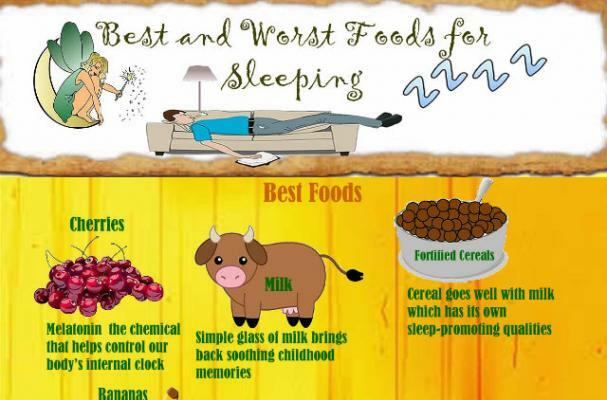 Learn more about the best and worst foods for sleeping in the infographic below.